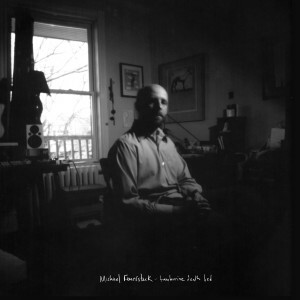 For years Montreal's Michael Feuerstack has been making music under the alias Snailhouse. This week he breaks out of that and releases an album, Tambourine Death Bed, under his own name. Indie folk is the basis of the music here. The opener, "The Same Sky", is comparable to early Iron & Wine in approach, but Feuerstack is not nearly the poet Sam Beam is. Occasionally, some more layers are added to the arrangements, with mixed results. The percussion concocted for "Modern Warfare" is mesmerizing, however, the same can not be said for the rock injection of "Tambourine". Many of these tracks trend a fine line. At the top of his game, Feuerstack creates songs that are minimal, yet remain compelling. The pretty, elegant, yet understated "Maps" is a prime example. There exists a depth to those songs that is actually created in part by their simplicity. Colin Stetson's poignant horn contribution to the closer "Scorekeeper" makes the resigned track the emotional highpoint of the record. Feuerstack can slow things down and strip them out too much. When this occurs the songs begin to lose the listener. Strangely, the fewer components you're presented with, the less accessible a song becomes. That turns tracks like "Take Me" and "The Hill" into bland, almost dozy numbers. There's no risk of that when Little Scream lends her vocals talents to the album. Tracks like the twangy "Leave Me Alone" and "Trees" are warm and comforting duets with glowing harmonies. Tambourine Death Bed is a mixed bag of a record. It has tracks that beg for exploration with repeated listens. It also has tracks that, no matter how many times you absorb them, will still cause you nothing but boredom. Michael Feuerstack plays The Piston in Toronto on May 23rd. Best tracks: "Leave Me Alone", "Scorekeeper"